Zhou Xun attends "National Spirit Achievers Awards"
The 2nd "National Spirit Achievers Awards" was grandly held in Beijing, in order to praise 10 successful Chinese young people. 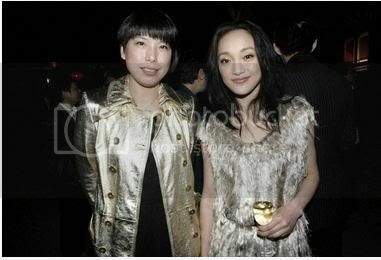 Zhou Xun attended the ceremony as a guest. In the beginning of this year, Zhou Xun received the invitation of Bible, one of the most famous fashion magazine, so she traveled to London with famous photographer David Sim to take some photos for covers of the magazine. 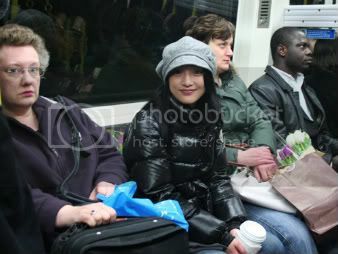 In the journey, Zhou Xun was so impressed by English people's good awareness in Environment protection. It was said that a 20-year-old boy never buys plastic bottle of water, only uses thermos one to contain water. And the story of a small village in Beddington where people have simple life, they don't use electricity but always feel happy and comfortable. April 7th, 8 o'clock, Taiwan singer Wang Re Lin had a small music show in a Bar in Beijing. 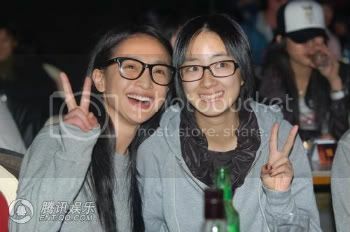 The show welcomed not only fans, media but also famous actresses, Zhou Xun and Gui Lunmei. 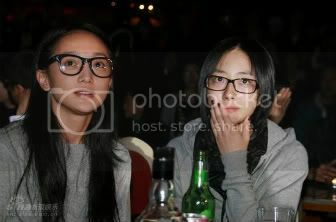 Many people said they looked like twins with similar glasses and clothes. BURBERRY creative director Christopher Bailey may have visited China for the very first time last week, but he certainly didn't find himself short of friends during the trip; Vogue China's editorial director, Angelica Cheung, threw a star-studded party in his honour. Staged in The China Club Tang Room, the 70 guests included Burberry CEO Angela Ahrendts, actresses Maggie Cheung, Zhang Jing Chu, Zhou Xun, actors Chen Kun and Song Ning as well as models Liu Wen and Du Juan. Following a cocktail reception in the courtyard of private members club The China Club, guests were served a traditional Chinese banquet in the Tang Room and treated to a special performance of Bian Lian, an ancient Chinese dramatic art. Before Hong Kong Film Awards 2008, a survey was taken to see among actors got prizes in this award, Hong Kong audiences love whom the most. Recently the result has been announced. 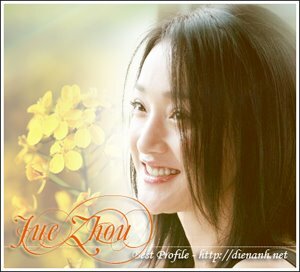 According to that, Zhou Xun received 24%, the highest, while the number of moviegoer support Zhang Yi Zi was 10%.